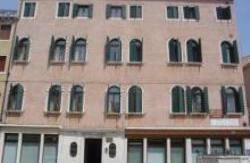 Top location, we have the best relation Location/price than any other accommodation in Venice. Venice Fish is the best place where to start your journey toward Venice. It is also the ideal location for you to meet new travellers and hang out with them. 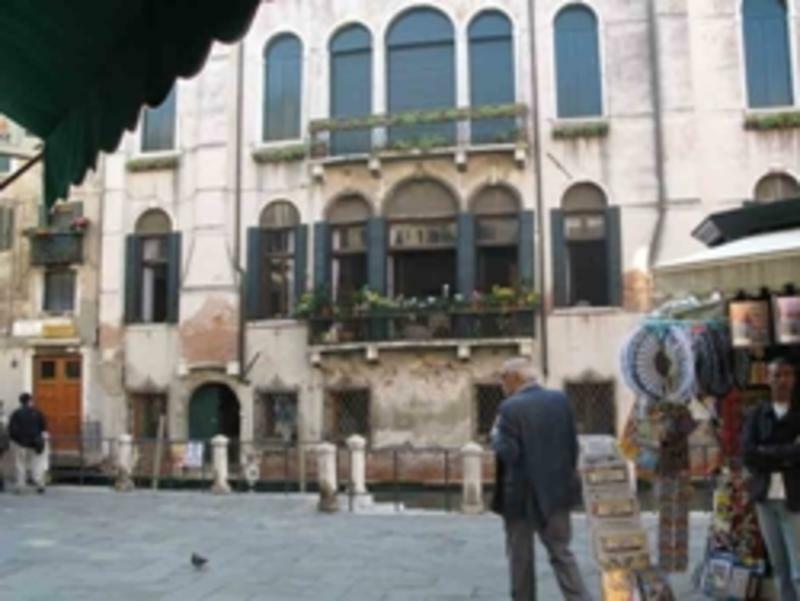 The building is a 16th century palace with a beautiful terrace and a private Bridge on a main street in Venice. Photos are constantly taken by tourists of the building and especially from our Bridge. A Venice Fish is located in the Cannaregio district, right in the middle of the city. Is not Necessary any kind of transportation to visit Venice (buses, Trains,Boats, Taxis) thus no additional costs and no waste of time (Considering that many Properties are outside Venice, additional costs will be necessary to achieve the Island Venice every day as well additional time for the travel) so do not forget to compare prices including this additional costs and the time lost. We are just a 10 minute walk from the Santa Lucia Train Station, Piazzale Roma, and Rialto Bridge, a minute walking distance to the Venice Casino, and 20 minutes from Piazza San Marco, close to all the most important sites of Venice including water-buses, gondolas, and water taxis. A Venice Fish has its own private bridge entrance. The hostel has a really relaxed atmosphere and is very social. Most evening are spent with everyone chatting in the common room, listening to music, watching movies or playing games. 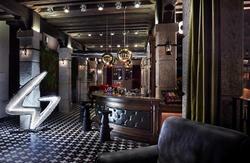 The Staff will be more than happy to advise you on nearby bars, restaurants and attractions. We require payment in cash upon arrival. Please notice, after check-in, there is no refund under any circumstance. Guests can cancel their reservation free of charge up to 72 hours before arrival. Your arrival time must be between 9:00 am and 12midnight. We donâ€™t have a 24hours Reception, so please notify us if your plans change either by phone or email! It is a Lock out from 10:00am to 2pm for cleaning. Luggage storage service after you have checked out is 5 Euros but includes the usage of facilities and lounger area. We are waiting for you guys!! Important note: the municipality of Venice introduced a tourist tax which is in addition to your booking: The amount of tax is of 3 Euros per person per day. 1.From the SANTA LUCIA train station, with your back to the main entrance, turn left and walk straight for about 8 minutes. 2.You will arrive at Campo S. Geremia, cross this small square taking the path which lies ahead of you on the left and you will arrive at a small bridge. Cross the bridge and continue to walk straight. 3.You will cross a second bridge. 4.Immediately before the third small bridge there is a small square off to the right called Campo de la Maddelena. Head over to it, past the orange and white 'Wind' store. 5.The entrance to the hostel is across the small private bridge (which should be just ahead of you on the left) that goes to a dark green door. It is number 2205. Just ring the buzzer and someone will be with you right away. If you don't want to walk from the bus or train station ask for the Water Bus service which is located in the same plaza. The cost for a single person ticket is 6,50 euro. Take Water Bus #1 to the Ca D'Oro stop and from there A Venice Fish is just a 5 minute walk. 2.Turn left and walk straight, you will cross 3 small bridges during this walk. 4.The entrance to the hostel is across a small private bridge that goes to a dark green door. It is number 2205. Just ring the buzzer and someone will be with you right away. From either of Venices airports, take a bus into the historic centre to PIAZZALE ROMA bus terminal and then follow either of the above sets of directions from there. Venice is a city with many sights to see, but finding these sights can be difficult if you're not familiar with the town's address system. The city was built to make sense to those using the canals, not those on foot. The street numbers run consecutively, and side by side, encompassing all the alleyways and small squares on each side of the street. So be aware, on one side of the street you will have street numbers 1167, 1168, 1169 and on the other you may have street numbers 1234, 1235, 1236.